The Cathedral of St. Paul was constructed and designed by Detroit architect William Gordon Lloyd in 1866. Before its dedication as a cathedral in 1915, the congregation was called St. Paul Episcopal Church. St. Paul’s was founded in 1827, and after conducting services in the Erie County Courthouse, members built a small Gothic Revival church on the same lot as the current structure in 1834. The congregation grew, and Rev. John Franklin Spalding, an important figurehead and rector of the church, recognized the need for a larger ornate building. Along with Lloyd, Rev. Spalding led construction efforts and funding for a Victorian Gothic Revival style church, which is embodied in its pointed arched windows, dramatic steeple, and steeply pitched roofs. The structure that now stands was finished in 1866, and St. Paul’s Episcopal Church was consecrated by Bishop Kerfoot of Pittsburgh in 1869. In 1881 a fire badly damaged the chancel at the South-end of the church, which is an area that is reserved for the clergy and choir. 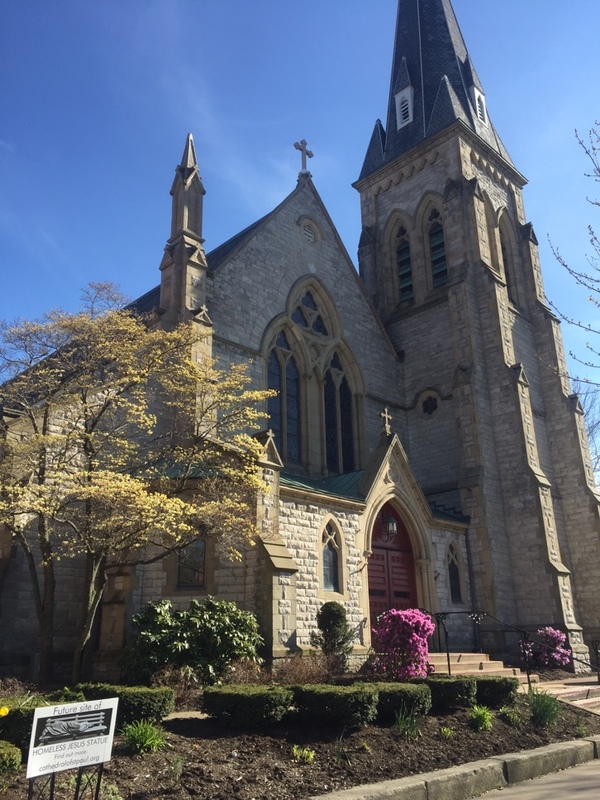 Repaired, the church continued to thrive over the next thirty-five years, and in 1915 the church became the first Episcopal cathedral in Pennsylvania. The Cathedral of St. Paul currently has 250 active members and is the cathedral of the Episcopal Diocese of Northwest Pennsylvania, which is located on West 6th Street. Sources: Northwest Institute of Research, Historic Survey 1982; Nelson, S.B. Nelson’s Biographical Dictionary and Historical Reference Book of Erie County, Pennsylvania. Erie, PA: S.B Nelson, 1896.